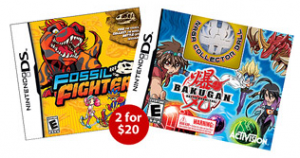 Walmart.com is offering 2 Nintendo DS Games for $20. Choose from 29 select games. Shipping is FREE on orders of $45 or more. Find more Walmart.com deals here.